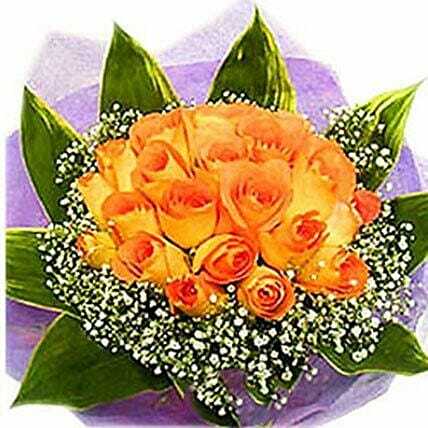 Order this orange roses bouquet comprising of greenery to your loved ones to convey the best wishes to any special occasion or moment. It can easily mesmerise your dear ones and its beauty is sure to win the hearts of any individual. Plan out a perfect celebration with this elegant bouquet.